1 Asami Sudo, 2018 Miss SAKE, made a courtesy visit to the Japan Tourism Agency, external bureau of Ministry of Land, Infrastructure, Transport and Tourism. 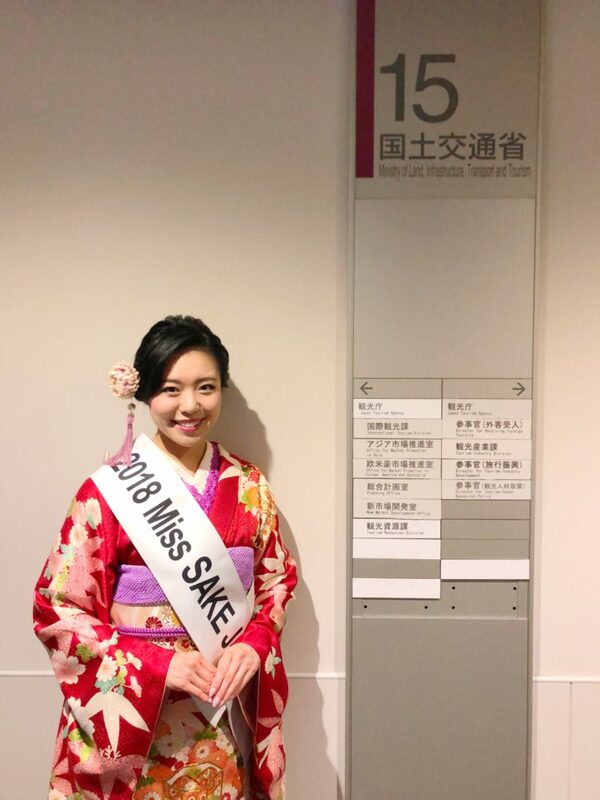 Asami Sudo, 2018 Miss SAKE, made a courtesy visit to the Japan Tourism Agency, external bureau of Ministry of Land, Infrastructure, Transport and Tourism. 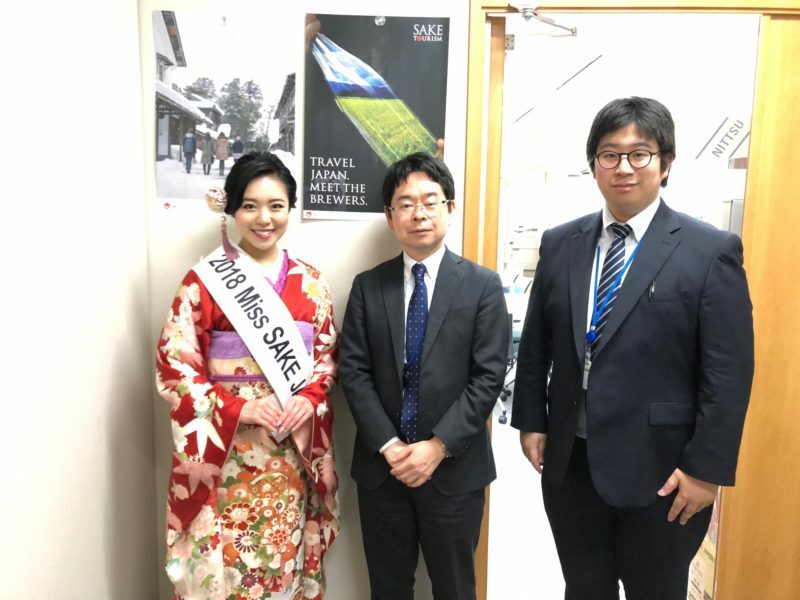 On October 26th, I made a courtesy visit to the Japan Tourism Agency, JTA, external bureau of Ministry of Land, Infrastructure, Transport and Tourism, MLIT, which has officially supported our activities of Miss SAKEs. This time, we had an opportunity to talk with Mr. Hiromichi Hanabusa, Director of Regional Development Department, Tourism Resources Division, and Mr. Koki Fukatsu, officer of the Department. The Japanese government is currently working to enhance tourism-related measures, towards the ultimate goal of creating a tourism nation. JTA was inaugurated on October 1st, 2008 as an organization to serve as the hub for these efforts, and drive their deployment. 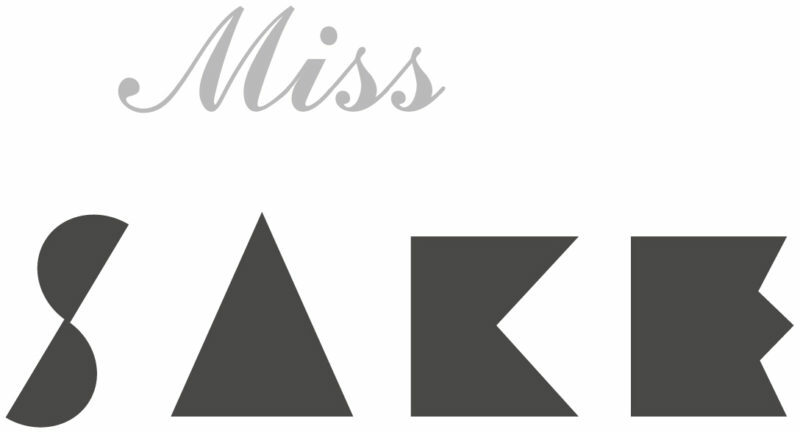 The mission of Miss SAKE is sharing the greatness of Japanese culture through SAKE. So, we have carried and will carry our activities, hoping to contribute to creating a tourism nation JAPAN, just the same as the mission of JTA. 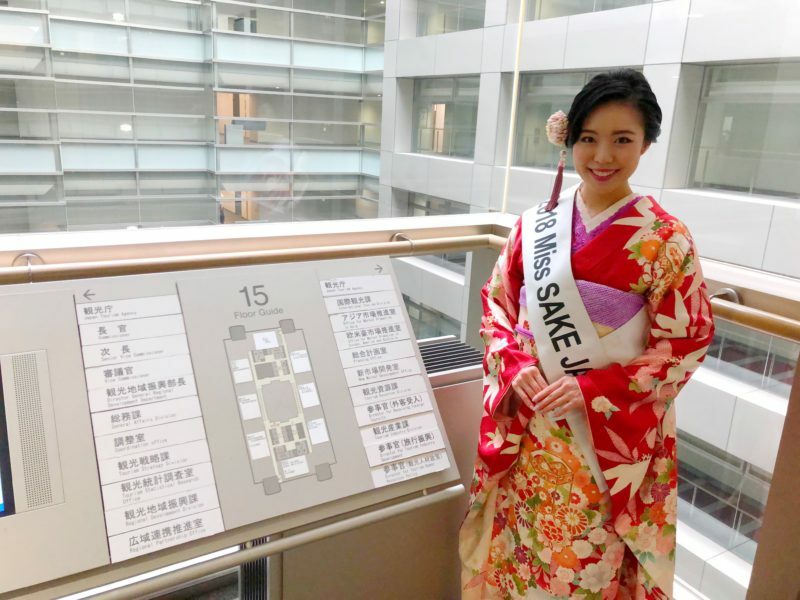 Since this March, when I was selected as Miss SAKE, I have been to 11 cities of 6 countries and joined the promotion activities of SAKE and Japanese culture. 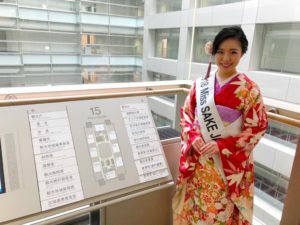 On the day, I could report on this year’s Miss SAKE activities so far and our vision on future activities. It was an honor for me to have words of encouragement for our activities. Hoping that our activities as goodwill ambassadors of SAKE and Japanese culture, will, even a little, contribute to the establishment of tourism nation, we’ll continue to try our best. I extend my deep appreciation to Mr. Hanabusa and Mr. Fukatsu for making a valuable.